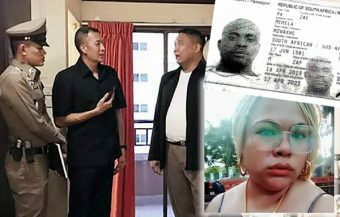 Thailand’s most popular cop led a raid personally last week on an illegal gambling website operating from a Bangkok apartment. It was one of four websites closed in a coordinated police operation which saw 16 people arrested. 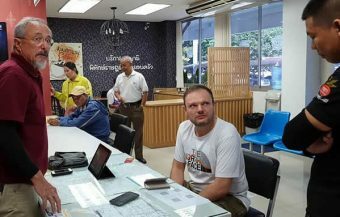 This followed the closure two weeks before of a hugely popular soccer gambling site which, police indicated, raked in as much as ฿200 million over a 6 month period. Since 2014, this Thai government has cracked down ruthlessly and virtually eliminated underground gambling and casinos in Thailand. Now the illegal gambling trade is moving online and to Cambodia. But already, nearly 750 online gambling sites have been closed catering for a gambling industry that could be worth as much as $12 billion (฿383 billion) a year with $1.5 billion (฿48 billion) in online potential. However, Thai authorities and law enforcement have directly linked gambling in Thailand to underworld crime and also identified the activity as a key driver of crime itself. In the meantime, the suppression of gambling in Thailand has opened up both offline and online activities in Cambodia catering for inveterate Thai gamblers. The latest raids on illegal online gambling sites, carried out by Thailand’s most well known police boss, Major General Hapkarn and his technology crime suppression task force, saw four online gambling sites suppressed and sixteen people arrested. 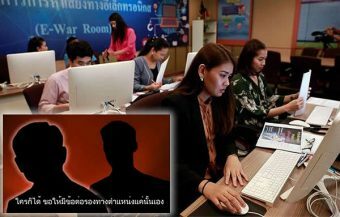 It followed a raid over two weeks earlier on a hugely popular soccer gambling site in Thailand which reportedly netted over ฿200 million in six months for its owners used a website server in Cambodia. The ongoing crackdown on illegal gambling in Thailand, including hundreds of online gambling sites, shows the scale of the problem of illegal gambling in the country. Since the crackdown began in 2014, when the military had just came to power, there has, reportedly, been a growing number of Thai people crossing the border into Cambodia to visit casinos and gambling operations tailored to Thai people. One expert estimates that the latent market for Thai gambling could be as high as $12 billion per year. 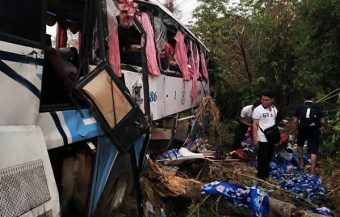 Thai police have long argued that the industry is directly linked to underworld crime and even more worrying, is a key cause of criminal acts in the kingdom. Major General Surchate Hakparn, the Head of Thailand’s Immigration Bureau and also leader of a Thai Police Technology Crime Suppression Task Force, personally led a raid on one illegal online gambling site in Bangkok last week. He revealed that, to date, Thailand had closed nearly 750 online gambling sites generating huge amounts of online sales. One soccer site, closed by authorities two weeks earlier, had an income of ฿200 million in a 6 month period. It comes as Thailand’s inveterate gamblers flock to Cambodia. A 2014 estimate by one Thai University expert put the potential Thai gambling market at $12 billion or ฿382 billion and this is supported by worldwide figures where gambling is legal and on a per capita basis. 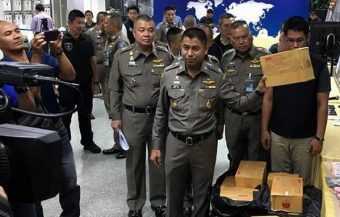 The ongoing and growing crackdown Thailand’s illegal gambling business was seen last week when Thai police launched a series of coordinated raids which saw 16 suspects arrested across six Thai provinces linked to four gambling websites. The scale of the operations was revealed by ‘Big Joke’ Major General Surchate Hapkarn who briefed the press after the successful swoop by Thai police and officials of the Action Task Force for Information Technology Crime Suppression. Major General Hapkarn, as well as being the high profile boss of Thailand’s Immigration Bureau, also heads up this organisation. The high profile police man, known as Thailand’s most popular cop, led one of the raids as police raided a condo in Bangkok which acted as a headquarters for one of the criminal online gambling sites. Police arrested three men at the scene. One website staffer revealed that he was paid to recruit online gamblers and line up credit facilities for the betting site’s clientele. Credit facilities that can all too easily turn into debt in the criminal underworld that is linked to online gambling in Thailand and throughout Asia. The man told Thai police that his monthly salary was ฿15,000 which is a very basic but plausible Thai salary particularly for those working in IT relating activity. However, the consequences for the Thai man could be grave. ‘All 16 suspects today face gambling and money laundering charges,’ the police chief told the media after the arrests. There is also expected to be a move by Thailand’s anti money laundering agencies to seek to seize or freeze assets relating to the raids and those involved. Major General Hapkarn promised that the next step by his team will be to identify the people or ‘masterminds’ behind the gambling websites. 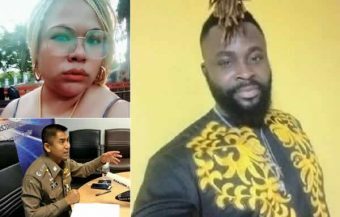 The top cop also had a warning for major celebrity figures and online personalities that have been identified advertising these illegal websites online. 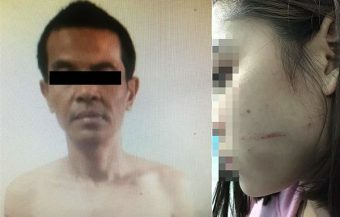 Last year saw dozens of celebrities cautioned and called in for questioning by Thai police after being involved in the promotion of the fake ‘Magic Skin’ range of health and beauty products which saw Thai women die. This could turn out to be a similar but perhaps less tragic situation. 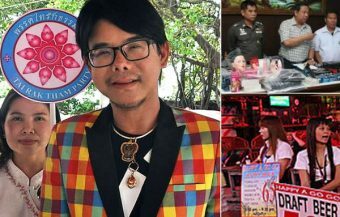 Major General Hapkarn had a blunt message for entertainment figures who may be linked, through promotions and advertising, with the online gambling industry: ‘If you don’t stop, you will face legal action too,’ he said in a clear warning to the online stars. ‘Big Joke’ drew attention to the vast size of the online gambling industry in Thailand. 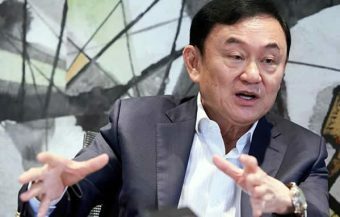 So far, his task force has closed no less than 748 websites linked to online gambling in Thailand which is strictly illegal. 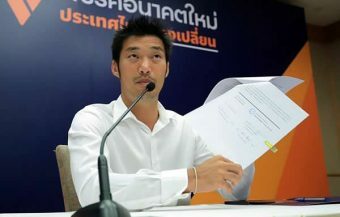 He mentioned that a further 36 sites had been taken offline due to violation of Thailand’s intellectual property right. Prosecutions have been commenced against 74 individuals in 42 different investigations while police have taken steps to freeze nearly 150 bank accounts. The raids followed another, over two weeks earlier, where a hugely popular and lucrative soccer online gambling site was closed down on January 15th last. The website named asi99bet.net had developed a huge market among Thai gamblers. The site was linked to Cambodia and the gambling and vice city of Poipet where its server operated from. Eight individuals were arrested by Thai police. Police revealed that the site was an absolutely huge money spinner for those behind the venture, reportedly generating over ฿200 million in a six month period. 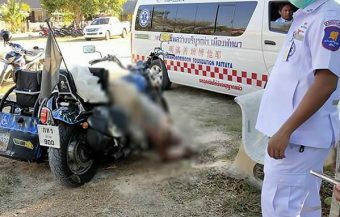 The people arrested included three Thai men and five women. It was revealed that the groups of eight were arrested under warrants issued by a Thai court at Phra Khanong. All those identified are believed to be involved with recruitment of users to the popular soccer gambling site to wager money on football matches. Police described the website as being an illegal business and promoting transnational criminal activity. During the raid, police unearthed bank books, financials documentation and other evidence. It is reported that Thai police swooped on the nerve centre of the gambling site in the Prawet area of Bangkok in the late evening of Tuesday the 15th January. Major General Hapkarn has identified a 40 year old Thai man as the webmaster of the website or the controller of its technical operations. It was revealed that the website had been operating for over two years. 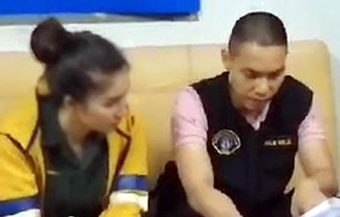 Two of the Thai women were identified by police as being tasked with the opening banking facilities for customers who used the gambling site online. 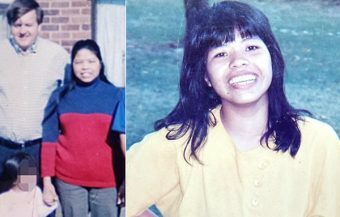 The police boss said that another two women worked as financial clerks. It was revealed that one of the men arrested worked for i99bet.net in Poipet, Cambodia where the huge gambling site’s server was based. 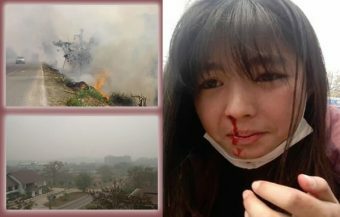 The police chief said that authorities would be moving to seize the assets of those involved with the operation. Since it came to power in 2014, a key target of the Thai military junta has been the suppression of illegal gambling in Thailand. Thai police and experts believe that the motivation to crime associated with gambling activity is significant. 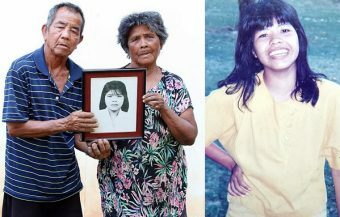 A certain proportion of Thai people have an strong propensity for the activity while others will stop at nothing, including crime, to get money to make a wager. Since the crackdown, which has been severe, extensive and ongoing, the illegal gambling trade has been moving over the Thai border into Cambodia. The fact that the soccer gambling site i99net.net was being operated from a website server in Cambodia is no accident. Gambling is also illegal in Cambodia but a technicality ensures that the law is only applied to Cambodian nationals. A key place at the centre of this shift in activity and a boom in cross border gambling from Thailand to Cambodia is Poipet, a grimy, vice ridden Cambodian city of nearly 90,000 people which sits just on the border with Thailand in the Aranyaprathet area of Sa Kaeo province in the east of Thailand, about 200km from Bangkok. This is one of a number of spots where casinos and gambling businesses are operating openly and flourishing. The city has a reputation for heavy gambling and for criminal activity. It is home to 15% of the casinos in Cambodia which target Thai, Chinese and international travelers. The city has reportedly benefited from the gambling crackdown in Thailand with a large rise in Thai day trippers who relish the opportunity to gamble legally and enjoy a short holiday from home. The crackdown on gambling in Thailand has coincided with a tightening of immigration controls in the country and also a campaign to rein in Thailand’s notorious prostitution industry. Since the junta came to power, nearly all underground casinos and betting shops in Thailand have been closed. The only legal gambling in Thailand is the state sponsored lottery and certain horse racing events. The junta began its crackdown on illegal gambling just after coming to power over four and half years ago in 2014. The illegal gambling sector in Thailand was hit hard and has not recovered. 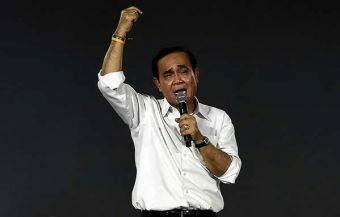 This current Thai government has shown a steely determination to follow through on its promises. 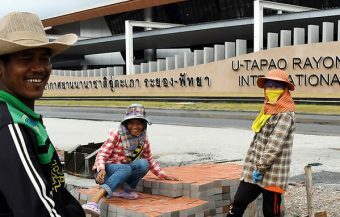 At that time, an expert on gambling in Thailand at Rangsit University, Mr Sungsidh Piriyarangsan, admitted that many of the Thailand’s gamblers, in need of a fix, were ‘flocking’ to Poipet in particular even though there are other Cambodian gambling towns on Thailand’s border. There were 9 casinos then, there are reported be 12 now. The Rangsit University expert estimated in 2014 that Thailand’s latent gambling industry could be worth between $9 billion (฿286) and $12 billion (฿381 billion) annually. It is thought that worldwide, the value of the gambling market for 2019 may well be over $420 billion with online gambling alone accounting for $60 billion of this figure. The figures quoted by Mr Piriyarangsan might seem stupendous but figures from Ireland and some states in America where gambling is fully legal, show an amount spent per capital of $500 per annum. That would equate to $35 billion for Thailand but when you factor in differences in disposable income, it may be far lower except that Thai people, like other Asian people but perhaps more so, have a propensity for gambling or risk. The numbers travelling to Cambodia and the huge turnover of online gambling sites shows the scale of the market that is out there. It should be noted that Thailand once tried to legalize gambling, in the distant past, with disastrous consequences. 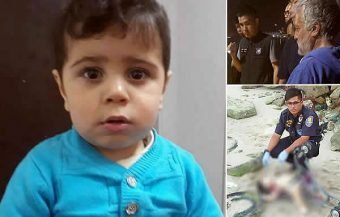 There is every reason to heed the warnings and regular statements by Thai police who regard the activity as a catalyst for crime.